You are here: Home / Blog / Hypnobirthing Australia™ Childbirth Educator Course – Become a Hypnobirthing Teacher! Do you share this same passion? Hypnobirthing Australia™ is looking for some very special individuals, with a passion for positive birthing, to join our team as Certified Hypnobirthing Australia™ Practitioners. Our Hypnobirthing Australia™ Practitioner Training is a 21 hour live course (over 3 full days or spread over 6 weeks). Hypnobirthing Australia™ is recognised nationally and internationally as a leader in hypnobirthing education. Our team already consists of over 140 Practitioners located throughout Australia and other parts of the world, however, we need more practitioners to join us, in order to spread the word of positive birthing further and make hypnobirthing more accessible to more parents. CLICK HERE for further information about our Hypnobirthing Australia™ Practitioner Training. Our belief is that women and families everywhere, deserve to have access to education and techniques to help make birthing one of the most positive and memorable experiences of their lives. If you are a Childbirth Educator, Doula, Midwife, Nurse, Teacher, Hypnotherapist, Psychologist, Doctor, Yoga/Pilates Instructor, Naturopath, Chiropractor, Physiotherapist, hypnobirthing parent or have a background in maternal health and birthing, and are interested in creating a flexible business that you are passionate about, then we would love to hear from you! 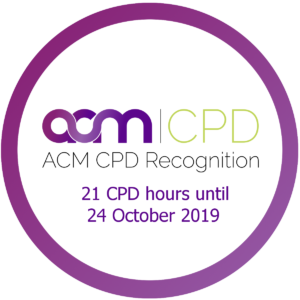 For participants who are trained midwives, the Practitioner Training is an Australian College of Midwives (ACM) CPD Recognised Course (21 CPD Points). If you share our belief, then we look forward to welcoming you to the Hypnobirthing Australia™ team!